BELIZE CITY, Thurs. 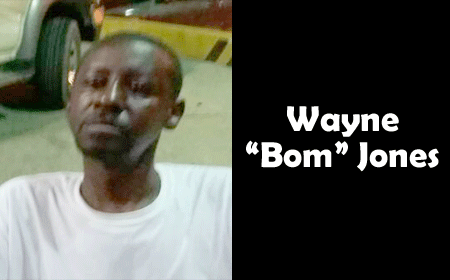 Sept. 28, 2017–There have been some troubling days lately for former football star goalkeeper, Wayne “Bom” Jones, who has had a number of visits and short stays at the Karl Heusner Memorial Hospital. Bom is one of the Majestic Alley fire victims earlier this year, who were relocated by the Human Services Department to an upstairs dwelling on Handyside Street. But in his weakened state, Bom, an HIV survivor, has been having great difficulty climbing the stairs; and on some days he also needs home care. Despite some good treatment by KHMH staff last week, Bom was discharged when they deemed he was well enough, KHMH now being an emergency hospital. Friends have been trying to secure accommodation and some care for Bom, and yesterday the Human Services Department picked him up from the Plaza and transferred him to a ground-floor apartment on Berry Street in the St. Martin’s area where he won’t have the stairs problem. The Department promised to provide the care needed until Bom is well enough again. On his down days, Bom says he feels his time is near. But his birthday is on November 18, and friends assure him he will meet and surpass that 54 milestone. In his playing days, The Goose, as Bom was also sometimes called, had become the Best Goalkeeper in Belize. But over the years since his retirement, Bom has made some mistakes, and fallen on bad times and ill health. But his former teammates and fans still have the memories, and some have continued to assist him in different ways. Respect to the Best, Wayne “Bom” Jones, and better health and happiness, brother!